Get fit the old-fashioned way! When it comes to outdoor activity, there is no better way than an active stroll around the beautiful 12-acre museum campus. Check in at the Pre-Emption House Visitor Center, then log your minutes (not miles). No registration is required. 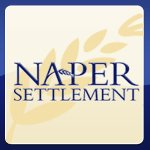 Earn reward tickets to Naper Settlement programs and events.